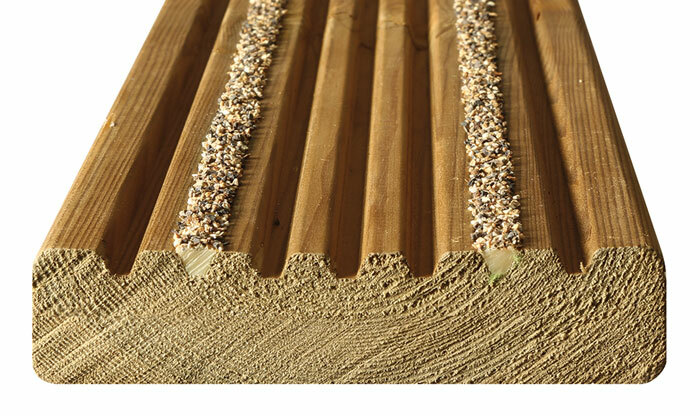 We are now stocking a standard Anti-Slip decking board. 32mm x 125mm (28mm x 120mm finished size) with anti slip grooves ideal for steps, edgings or full decks. Currently available in long 5.4m lengths.